Your rights: PEOs will allow a client to leave at any point throughout the relationship with a required minimum notice. Best PEO standards range from 30-60 days, with much of the PEO industry requiring only thirty days’ notice. There are a few PEOs that will put an initial term requirement in their agreement that requires you to remain with them for the first twelve months with no latitude to leave should your experience be less than expected. Beware of these types of restrictions. Make sure you are aware of any early termination penalties that may exist and how they are calculated. PEO rights: Debiting funds from your account for payroll, taxes, and employee benefits, amongst other things, is something that a PEO takes very seriously. Should you not have sufficient funds in your account when it’s time for payment, the PEO will typically reserve the right to terminate you immediately for cause. We have seen this happen, and it’s not a pleasant scenario when a client has to scramble to find employee benefits coverage, payroll, workers’ comp insurance, etc. Always make sure to have your account funded and if you hit a snag with cash flow/credit, ensure that you’re communicating this with your PEO partner so that there are no surprises on either side. There should be an indication as to when your unemployment tax rate can be adjusted by the PEO. Make a note of when this may be as it could materially affect the economics of your situation with the PEO should your rate(s) change drastically. If you hire an employee who cannot satisfy I9 documentation requirements, the PEO must retain its ability to NOT hire this employee onto its platform. Conversely, if it’s determined after a thorough PEO review that your termination of an employee could be deemed a discriminatory practice, the PEO may decide to reassign this employee to its own payroll in order to avoid a potential lawsuit. Typically, a period of notice of when your service fees can be raised and by how much, are outlined in the CSA. Make sure you are comfortable with the timing and amount of leeway the PEO gives itself to increase these costs. Many PEOs will incorporate a drug-free policy within their CSA that gives them the ability to test employees for drug use after filing a workers’ compensation claim. Drill down on this component if it does not fit your company culture as you have options to avoid this stipulation. Every PEO will require you to maintain an EPLI policy to protect both your company and themselves if an employee sues for an employment related matter. Most will include this policy within their standard offering at no additional charge, however, make sure you fully understand their policy limitations and deductibles to determine if it meets your business needs. Most PEOs include a fee for your former employees that elect medical insurance continuation coverage through COBRA. If you are to leave the PEO, this fee can become quite substantial for those participants you leave on their policy. Ensure that you understand the costs associated with this. The PEO has priced your administrative fees with your headcount as it exists today, so if it drops significantly after (typically 25%+) you begin, this may put unanticipated financial stress on the PEO. Whenever there is a mass layoff or significant drop in headcount, the likelihood of an employment-related lawsuit increases dramatically, and the PEO may argue that they have greater financial exposure in these situations. This is where the actual fees and taxes are outlined. Make sure it is crystal clear exactly how much you will be required to pay in administrative fees and as importantly, HOW you will be charged. Flat dollar amount—As described, you will pay a per employee per month (PEPM) flat dollar fee. Percent of payroll—This is where it can get tricky. If you see percentages on your pricing addendum, be very aware of what those percentages are. This is how you will be billed by the PEO going forward, and if you do not understand these percentages, it will be extremely difficult for you to understand your costs going forward. It is common for PEOs to charge additional fees for delivery of payrolls, off-cycle checks, customized reports, international services, EFT, W2 adjustments, 401k setup, NSF defaults, employee hiring/termination. Since PEOs are assuming certain liability for funding your payroll and other obligations, they may run a credit check or require you to provide financial proof of solvency. Typically, their credit approval process is outlined in the CSA, and it behooves you to seek this approval early on in the process. We have seen many declinations in this area that prevent a company from using their preferred PEO. ACH, reverse fed-wire, and fed-wire are the three main ways a PEO will accept funding of payroll, taxes, benefit premiums, fees, and other costs. The size of your payroll, your length of time in business, the PEO’s policies, or other factors may determine which option is available to you. If ACH is not offered, there is likely additional costs associated with the wiring of funds. 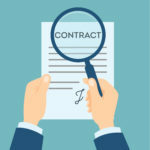 As with any contract, this is a fluid document, and oftentimes a PEO will be open to negotiating certain language to help ensure your comfort with the terms. That said, each PEO has a different approach, and while one may be open to redacting a certain clause, another may not be as flexible. If you need help in this evaluation, please feel free to contact us as we have a deep understanding of the approach of many PEOs in this area. You can also download our eBook, The Truth About PEOS, to discover the 9 critical components you must consider before choosing the right PEO for your business.